klineka posted a topic in Balls, Carts/Bags, Apparel, Gear, Etc. GAME GOLF has recently announced a new version of their shot tracking system and they are calling it GAME GOLF Pro http://articles.gamegolf.com/new-game-golf-pro-offers-unprecedented-shot-tracking-for-golfers-37381/ Some of the major highlights from the article: Taking advantage of the industry’s most advanced shot-tracking technology is this easy: arrive at the tee, turn on GAME GOLF PRO and play. Unlike earlier iterations, there’s no need to tap the GAME GOLF tags on your clubs to the hip device. All you have to do is play golf—and every shot, distance, and club used is automatically tracked. Incorporating automotive-grade sensors used by cutting edge motor companies such as Tesla, GAME GOLF PRO is so smart that it can differentiate real shots from practice swings. GAME GOLF PRO also doesn’t miss any shots and you don’t need to have your phone in your pocket, unlike competing systems. In fact, GAME GOLF PRO has its own battery and GPS included so you can leave your phone at home saving you data and battery life, if you choose. Coming to market in 2018, GAME GOLF Smart Caddie helps golfers make data-driven decisions by recommending clubs and hole strategy based on your previously tracked performance. Competing systems give you a recommendation for how to play a hole. Smart Caddie takes it one step further, providing you with recommendations for every shot you face on a hole with no manual entry required. Smart Caddie can even calculate the effect of weather and elevation in making its recommendation. Designed with the input of PGA of America Golf Professionals, the new GAME GOLF Coaching Dashboard not only allows you to accurately determine the parts of your game that need improvement, but it also makes it easy to share your data with your PGA Professional. GAME GOLF INTELLIGENCE puts a new spin on the GAME Golf tag line of ‘Know Your Game.’ GAME GOLF INTELLIGENCE provides the golf industry with a tool it can use to lower maintenance costs, increase pace of play, improve course set-up and playability, and make courses safer. “By drawing on our database of more than two-million rounds and twenty-billion data points—the richest source of tracked rounds golf—GAME GOLF INTELLIGENCE makes it possible for course owners, club management, superintendents and golf architects to respond to how golfers are actually experiencing their course,” McGuire said. Personally I like the tagging in my GAME GOLF Live unit, and it is part of my preshot routine and it acts as my "go" trigger to execute my shot. With GAME GOLF Pro I feel like it would always be in the back of my mind "I wonder if the unit tagged that shot or not" but with the current unit, I get the beep/vibration to know it tagged the shot One of the highlights from the article states, "you don’t need to have your phone in your pocket, unlike competing systems. In fact, GAME GOLF PRO has its own battery and GPS included so you can leave your phone at home saving you data and battery life, if you choose." With my current GAME GOLF Live unit, I dont have to have my phone in my pocket in order to tag the shots. Since getting the belt clip and tags, I am no longer on my phone during my rounds. I just edit the round on my phone after before I leave the course. Also, someone correct me if I'm wrong, but a feature like the Smart Caddie is not allowed in tournament play, correct? Anyone use a gps watch for golf? Does anyone here use a gps watch? What kind and what do you think? Vinny Cap posted a topic in Balls, Carts/Bags, Apparel, Gear, Etc. I saw a commercial the other day for the Callaway GolFit and it had me interested. So after browsing around all day yesterday I ended up stuck between that and the Garmin Approach X40. I was wondering if anyone here had any experience with either unit. It would be neat to tie in the fitness and GPS into one watch device. Both look sleek and don't appear to get in the way when golfing. The Garmin has a few more features and is on sale for $199. The Callaway is $149. Looking like it might be an after Xmas present for myself! Bushnell Golf, makers of the #1 laser rangefinder, chosen by 97% of pros on the PGA Tour today, introduces the industry’s newest innovation – HYBRID. HYBRID combines the latest in Laser and GPS technologies to provide better data so golfers of all levels can make better decisions on the course. The new Bushnell HYBRID utilizes precise Laser and GPS yardages allowing the golfer to see distance like never before. “HYBRID provides golfers more information than ever before. The two technologies ‘talk’ so that the golfer sees the front and back distances of the green in relation to the pin that is targeted with unmatched accuracy by the laser,” said John DeCastro, Bushnell Golf Product Lane Director. “The introduction of the HYBRID demonstrates Bushnell Golf’s commitment to providing the best, most accurate information so those who golf with Bushnell can play their best golf.” The new Bushnell HYBRID takes the guesswork out of the game by displaying the lasered distances to the pin and GPS provided front and back yardage readings within the LCD. Additionally, Bushnell has incorporated exterior GPS front, center and back yardages to assist with correct club selections when golfers have cart path only or blind shots. To support the power required by the combination of GPS and laser technology in the Bushnell HYBRID, the brand introduced the use of Dual Power Technology. The CR2 battery will power the laser and the USB rechargeable lithium ion battery will power the GPS. Dual Power Technology allows you to be able to able to use your laser, even if the GPS is not charged. Additionally, Bushnell Golf includes PinSeeker with JOLT Technology amongst the host of features offered in the new HYBRID. When the golfer aims the HYBRID at the flag, JOLT provides short, vibrating bursts to reinforce that Bushnell’s advanced PinSeeker Technology has isolated the target and locked onto the flag. The vibrating bursts provided by JOLT Technology ensure golfers have the exact distance to the flag. Key Differentiators 1st ever integrated Laser/GPS display Dual Battery source (CR2 for Laser, USB for GPS) HYBRID Laser Features PinSeeker w/ JOLT Technology Accurate to 1 yard 5X Magnification Ranges 400 yards to a Flag Fast Focus System Stable-Grip Technology Tournament Legal GPS Features Exterior Front/Center/Back Readouts Up to 4 hazard distances per hole Bluetooth for auto course updates Auto course recognition Auto hole advance The HYBRID will be available at Bushnell Golf retailers nationwide beginning in April. Retail price for the HYBRID is $399.99. The New Bushnell Ion2 Golf GPS Watch Expands the Family of Innovative Golf Measuring Devices Bushnell Golf, #1 in Electronic Measuring Devices, unveiled the new iON 2. The iON2 has been redesigned to meet the ever-changing needs of golfers wanting wearable EMD’s. The iON2 features Bluetooth technology and the Bushnell Golf app for automatic updates to the move than 36,000 preloaded courses in over 30 countries. The iON2 is one of the industries easiest to use GPS rangefinder with instant yardage measurements in a simple, fashion-forward design featuring a reversible band. “We pride ourselves on creating EMD’s that are both trusted on tour and by the weekend golfer,” said John DeCastro, Global Product Lane Director at Bushnell Golf. “The iON2 is more user-friendly with industry leading technology at an affordable price.” The iON2 offers the golfer long battery life (play three full rounds of golf before charging), and even more benefits such as a shot distance calculator, pedometer, odometer and the ability to get up to four hazard distances per hole. The iON2 Golf GPS Watch is capable of instantly recognizing courses. 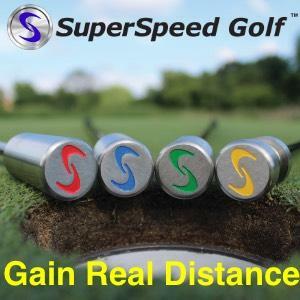 It features auto-hole advance which automatically changes from one hole to the next, so a golfer can start play and get front/center/back distances without touching any buttons the rest of the round. An integrated step counter has been added allowing the golfer to track distance, speed, and total activity time throughout their round of golf. Play Longer: Over three rounds between charges Ready for Play: Over 36,000 courses worldwide preloaded Additional Features: Reversible silicone sport band Auto course recognition and auto hole advance Easy-to-read front/center/back distances Hazard/layup distances (up to four per hole) Shot distance calculator Integrated fitness step counter Round odometer Bushnell Golf App included with purchase The iON2 Golf GPS Watch will be available in two color combinations – Blue/Black and Silver/Green, at Bushnell Golf retailers nationwide in mid-spring, with a retail price of $179.99. Bushnell Golf Introduces Phantom into GPS Rangefinder Family Continually bringing innovation to golf distance measuring devices, Bushnell announced the launch of its new Phantom GPS Rangefinder, rounding out a robust collection of products to serve golfers of all levels. The Phantom comes preloaded with more than 36,000 courses and provides simple measurements to the front, center and back distances of the green – along with up to four hazard/layup distances per hole. The Phantom unveils “Bite Technology.” Equipped with a high powered magnet the Phantom can easily attach to a cart bar or any metal surface, providing quick and easy yardage readings. Additional features include auto course and auto hole recognition, shot distance calculator and long battery life (play up to two rounds before charging). “The addition of Bluetooth and Bite technologies push the Phantom a step above its predecessor the neo Ghost,” said John DeCastro, Global Product Lane Director at Bushnell Golf. “Phantom provides golfers with the critical distance information they need, while offering the convenience and reliability they are accustomed to from Bushnell Golf GPS products.” Bushnell Golf’s latest Golf GPS innovation also integrates Bluetooth technology. With the incorporation of Bluetooth technology and the Bushnell Golf Mobile application, the Phantom no longer needs to use a computer for course updates. The Phantom is offered in four colors – Black, Red, Electric Blue, Neon Yellow – and will be available at retail in late-February for $99.99. 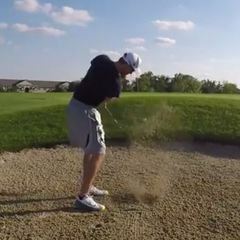 JohnnyStroke posted a topic in Balls, Carts/Bags, Apparel, Gear, Etc. Hi all, good morning from Atlanta! Maybe I'm chasing my tail here, but does anyone know if there are any golf GPS watches that auto count strokes? My buddy has an iPhone watch that has an app that counts all his strokes. He can also pull up sky view of the hole and there are markers of where all his shots were done. Not that any of this will help me be better golfer lol, I've yet to ever break 100 smh ha. But that would be totally cool to have if it doesnt break my very small bank. Any/all help would be appreciated! Product Name: Arccos Golf Performance Tracking System Product Type: GPS Shot Tracking System for iPhone Product Website/URL: http://www.arccosgolf.com/ Cost: $299 Ratings (out of 5): Quality: 4 Value: 3 Effectiveness: 4 Durability: 4 Esthetic Appeal: 4 iPhone GPS tracking system for your golf game Please look at The Sand Trap Review by Michael Hepp, http://thesandtrap.com/b/accessories/arccos_golf_review My Member Review The Arccos Golf Performance Tracking System is the GPS enabled system to track all of your golf shots and putts during a round. It works currently only with the iPhone. I was given the opportunity to review this product having never used any shot tracking system. Below are my impressions. The Arccos System comes in this sharp looking box. The box is sturdy and well designed. Inside of box the club sensors are arranged in individual holders. This comes in handy when storing the the sensors in the off season. I do both indoor and outdoor range work in the off season and don't want to use up the battery life of the sensors. The sensors activate every time you hit a ball. The sensors themselves are different from other shot tracking systems in that they use Bluetooth to communicate with your phone. They are the diameter of a golf grip and about 3/4" deep. The sensor screw into the top hole of the grip. The clubs sensor is below on the left with the putter sensor on the right. The putter sensor is made for a standard pistol type grip. I currently use a SuperStroke 3.0 grip. This sensor doesn't quite fit perfectly on that grip. The putter sensors are a little different than standard club sensors in their sensitivity and function. 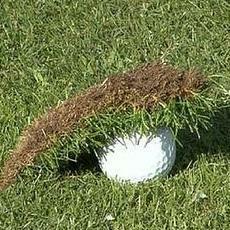 Arccos should maybe consider making putter sensors for other popular grip styles. The sensor does add length and weight to your clubs, but it is not noticeable. No one I played with noticed the sensors at all. Instructions come with the unit. They are simple and straight forward. The left page shows the Step 1 instruction for attaching the sensor. On the right, step 2 is shown. It might be a bit more intuitive if the Step instruction and pictures were open at the same time. The app is only currently available for iPhones which is a bummer for you Android folks. After downloading the app I went through the process of attaching the sensors to my clubs and activating them. It is a pretty straightforward process. You select the club from a drop down menu. Then press down on the sensor to couple with the app. Arccos calls this "pairing". I am using two types of grips lately, Pure DTX and Golf Pride MCC Plus. The sensor easily attaches to both, but the Pure grip is a little softer at the end and the sensor feels a bit more loose. I didn't have any issues with the sensor falling out though. It just felt more secure in the Golf Pride grip. The app opening page is below. The app tries to find the closest course when you open. It has tons of courses loaded. You can also pre-load favorite courses. When you select the course and start a round, it brings up a satellite image of the first hole. It will give you distance to the pin, front and back of the green. The photo below doesn't show all the information because I took it sitting at my desk. But essentially, the Arccos system acts as a GPS system as well. Unlike other shot tracking systems, the Arccos system doesn't require you to select a club and tap a sensor before taking a shot. Each sensor is already paired to your phone. If you take practice swings that activate the sensor, the Arccos system will disregard those as shots once you take the actual shot. It senses that you are at the same location and notes the last shot. Below is and example of a hole played. Notice I had a nice drive followed by a topped 5W! Each shot can be edited. If the sensor did not activate, you can add a shot later. When I first used the system, it was having trouble staying connected and had location issues.. It turned out to be an issue with iOS 9. I contacted Arccos and they responded immediately. They created a patch and instructed me to delete the app and reload the app with the patch in it. After that, I didn't have any more location issues. The image below is a nice par. I was only able to get six rounds in before the snow came. But there was enough information for me to see the capabilities of the system. As Michael, @mchepp , indicated in his review, you can only edit the round on your phone. This really isn't a big deal. I got used to that quickly. You can edit the club, insert a shot, move a shot location, etc., on your phone. For the most part, I only had to add a couple of full swing shots in a round. I have to admit, they were probably fat shots from the rough where the sensor didn't activate. I did have to add a few putts. For putts, you have to be careful not to tap your putter down while walking. In the bag, the sensor is off because of the orientation of the club. The sensor has a little gyroscope inside and knows when it is in the hitting position. 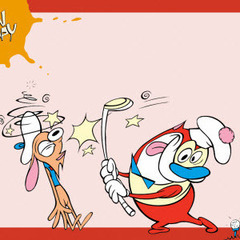 It is a good idea to carry the putter by the head when walking to keep it from activating. I didn't have any issues, but was aware of the potential and was careful. For the putter, it also is set to sense you getting ready to putt with a pause. Arccos recommends that when you tap in a close one, you need to pause before hitting so the sensor knows you putted. If you walk up and tap it in, the sensor may not read. This isn't a huge issue because you can always add the putt later. But it will not know the location on or off the green. Once you get enough rounds in, you can start seeing the analytics. The image below shows my clubs. Available views are Smart Distance, Smart Range, longest, GIR and usage. One thing the Arccos doesn't know is whether your shot was a full swing, punch out or pitch/chip. In order to develop your shot zones for each club, you will need to remove those shots from the calculations unless Arccos saw the distance as an outlier. The Smart distance algorithm takes outliers out of the calculation. But it does miss some. Example below: I used my 5 iron only four times in the 6 rounds. One was a punch out. I can remove that shot. There are a lot more statistics available as well. They can be looked at from individual clubs, as in the image below, or your combined rounds. @mchepp review, http://thesandtrap.com/b/accessories/arccos_golf_review, shows the stats available on the Arccos site, so I will not show those pages. Below are a couple of views on my iPhone. Ok, I have to admit that my whopping drive was downhill! Other notes: Battery life - Arccos is a GPS system, so it will use up battery. They give instructions on how to maximize battery life. I was careful to fully charge my iPhone 5 before each round. I brought a power pack, but didn't have to use it. The system used about 50% of my battery during a 18 hole round. I've got a new iPhone 6s, so I will be curious to see how the battery lasts with a new phone. Putting stats - The putting distances are recorded by estimating your distance from the hole by the length of the first putt. It knows where your second putt started. So it will not give you the most accurate putting stats. 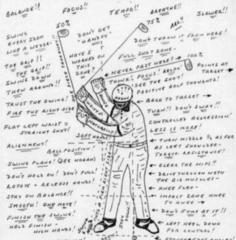 I see the system as more geared toward full swing analysis. Conclusion: All in all, I think this is a pretty good system. I usually carry my phone when I play because I keep my score on my phone, so that is not a hassle for me. The system is easy to set up and works as advertised for the most part. I kept the phone on me as recommended, but it would be nice if I could keep it in my bag instead. I'm not sure of the Bluetooth distance capability, but that would be a nice improvement. At $299, it is expensive, which is why I gave it a three for value. Except for the putter sensor, the sensors are not really noticeable, which I find as a plus. I would again recommend that Arccos has a different sensor shape for SuperStroke type grips. I will take this out again when the season starts and work with it some more. There is also a lot more to explore on the web site. You can look at your performance by round, by course, overall, etc. I don't have enough rounds in to evaluate battery life in the sensors. I will report that in this thread along with any other observations. Thanks for reading. bobbyohms posted a topic in Balls, Carts/Bags, Apparel, Gear, Etc. I'm a new member and wanted to say hello and that this is a really great community you have going here. I am a newer player and have been using Game Golf Live for tracking my play. I'm completely addicted to the game so I ordered a full set of new clubs and want to create a new baseline with the new set. So I'm setting up my Game Golf tags appropriately but before I get too far, I was curious what other users of Game Golf have come up with for using their extra tags. For example, I recently have been using the triangle tag for putter shots very close to but not on the green to indicate shots which are not truly considered a putt because whenever you tap your putter, Game Golf moves the position of your shot onto the green instead of where you actually hit the shot. Anyway, before I finish re-configuring my tags for the new set, I was hoping to get some ideas from other users on how you use your extra tags. Thanks and may all your shots be true. This has got to be the place to ask - What everyone's favorite apps? Right now my favorites are V1 for swing analysis and Skydroid for GPS. I'm on the Android system. I'd like to find a stats app giving me similar info as the Strokes Gained stuff. I've contemplated GolfShot and would welcome comments from users. Am interested in the Lowest Score Wins app, but can't seem to find it. Might just go with the Game Golf program but the Federal Return just cramped my golf funds. Thoughts? I know GameGolf does a great job of compiling approach shot data while on the course, but for anyone else out there who practices hitting into a field, I found an app that has helped me map my shot zones. http://www.appliedstudios.com/dtool/09f03e59 When I first used it I was a bit disappointed as it only measures in a continuous path. In other words, I can only measure the distance from where I swung to the first ball, then from the first ball to the second, and so forth. But then I realized it doesn't matter as much how far each shot went. It matters more how big the zone is and its proximity to the target. So for the zone linked above, I measured a known target that was about 130 yards away and hit several shots to it. My first measurement is from where I shot, my second to the target, and the subsequent measurements are the shot locations. The GPS might be a little wonky - it measured one of my 6i shots at over 190yds. I can't BS that distance in the How Far Do You Hit You Clubs thread, much less hit one that far in reality. But I'm familiar enough with this field through google maps and with the terrain, that I can tell when it's pretty close. If anyone knows of a better way to do this, please share.